These days, I’m the embodiment of intriguing new happiness research. As it turns out, that sweet anticipation for something good that is about to manifest is key to a sense of a life well-lived. A chocolate, a trip, a joyful family event. Harmony, equanimity, and balance saturate my existence as I imagine myself in the picturesque towns, rolling hills and still vineyards of Tuscany, Italy, where I am about to visit shortly on a well-deserved vacation. So here’s a question for you: as you go through your working day, do you experience feelings similar to the above, or is your day saturated with stress, irritation, and wishing you were somewhere else? The challenge is, how do you bring those ‘vacation’ feelings into your everyday existence at work? 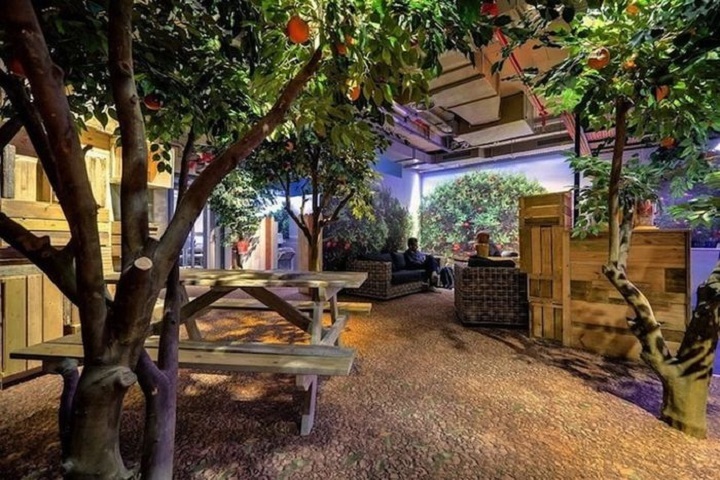 Google, for example, helps its employees do so by providing a physical environment that creates a sense of play, thereby fostering collaboration and innovation (see one of the work spaces in their Tel-Aviv office alongside this text). However, as you probably already noticed, when people are stressed and overwhelmed it is easy to slide into workplace incivility. Incivility then leads to further irritation, which in turn triggers mini-aggression, which leads to more stress, then more irritation and incivility… before you know it, instead of being in Tuscany-land, suddenly you’re inviting someone like Bar-David Consulting to assist with team rehabilitation. Convert to meaning. You may already be doing lots of meaningful things, but in a non-meaningful way. For example, you visit your elderly parents but rush through the visit without ever being present. Or you help a stressed-out colleague with their work without being present to how this action fits with the larger vision of ‘who I really want to be in life when-all-is-said-and-done’. Start converting these small meaning-less experiences into meaning-full ones: when you lend a helping hand, exercise mindfulness and presence. This will cost you no extra time, but oh what a difference this conversion will make (read more on this). Carve out mini-vacations daily. Transport yourself to islands of calm by taking a few minutes (or hours) to engage in experiences that will infuse an impromptu sense of vacation into your day (read more on this). Be the bright light. Make someone’s day. Bring in ringing laughter to the team. Be a model of civility. Greet people with a cheerful hello. Apologize when you ought to. As Stephen Covey says, focus on those things that are within your Circle of Control. And bringing to your day and to those around you a sense of positive energy is always (yes, always) within your control. Contact Us anytime to discuss your needs or challenges, or just to stay in touch! Witty, Funny...or Plain Old Hurtful?